Ensures that the Association can continue to represent all types of fire agencies, city, county, district, state and private – be it volunteer, paid/volunteer or a fully paid agency. Member only rate for attendance at the Annual Conference and special events throughout the year. Job announcements and classifieds postings on CalChiefs website free of charge. Member Alerts (eBlasts) regarding significant Fire & EMS happenings and requests for information. Opportunity to participate in various boards, task forces, committees and commissions at the state level. Representation on legislative matters and access to Legislative Committee on bills being monitored by CalChiefs. Fire-Rescue Group Purchasing Organization (GPO) members-only discounts. Ongoing efforts to preserve pre-hospital EMS services; first responder, transport & dispatch for the Fire Service. 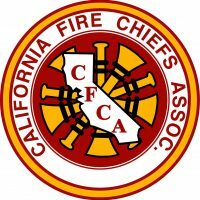 CalChiefs will remain an organization of influence if it is strong in membership and strong in a unified voice for California fire and medical services. Consultation and referral services on EMS matters through our contract with A.P. Triton.